There are bad apples in every industry, and the plumbing trade is no different. We’ve all heard horror stories about traders who’ve failed to show up, left work half finished, made a big mess or just failed to fix the problem. So how can you ensure you find the best plumber for the job? Read on for our expert advice, then use our trader search to find a Which? Trusted Trader-endorsed plumber in your area. The first thing to consider is whether you need a plumber or a heating engineer. Plumbers deal with water around the home. They work with both dry and wet pipes, and are generally the people to call if you have any kind of drips or leaks. 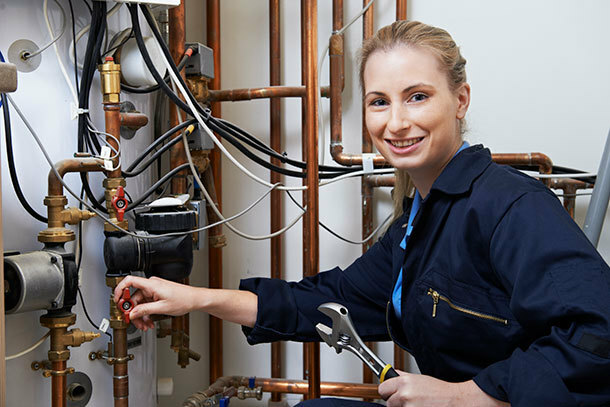 While there are recognised training schemes, such as NVQs and City & Guilds, that will show your plumber has a basic level of competence, there are no regulations governing the qualifications plumbers must have. And there isn’t a registry of plumbers in the UK. Plumbers can be extremely competent so, if your home has drips or leaks, a plumber could be ideal as they may charge less than someone who also has heating qualifications. If you need help with something related to your boiler or central heating, you need a heating engineer. Heating engineers focus on the heating systems within a building. They are not necessarily experts on water and plumbing systems. They deal with areas such as boiler servicing and repairs, installing and monitoring chimney flues, and servicing and repairing gas fires. All heating engineers will have completed specific training and will be on the Gas Safe Register. This is the official list of gas engineers who are registered to work safely and legally on boilers and all other gas appliances. There are regulations covering the level of competence they must reach. 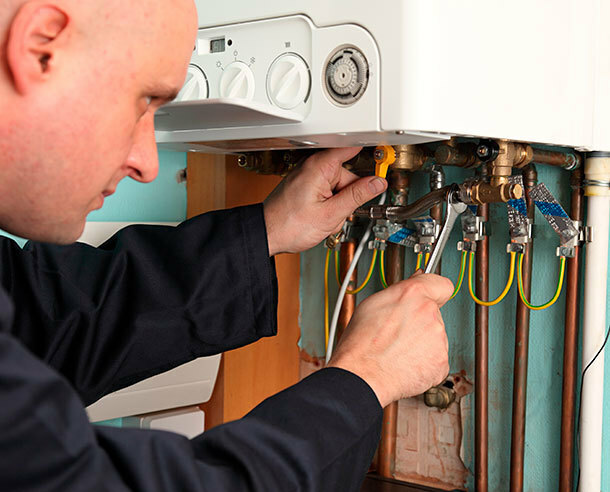 Confusion arises because many plumbers have also taken the necessary qualifications and steps to be able to work on boilers and central-heating systems, as well as being experts in dealing with water and plumbing systems. These multi-faceted plumbers must be Gas Safe registered and qualified to work on gas appliances in the same way as heating engineers. The difference is, they have a background in plumbing and water-based systems which can be helpful when dealing with boilers and water-heating systems. If your plumbing work involves gas, you must use a plumber who is on the Gas Safe Register. Whenever you hire anyone to work with gas, you should check what type of gas-related work they are qualified to undertake before going ahead. Find out more in our guide to the Gas Safe Register. You can use our site to find a plumber or heating engineer in your area who we’ve endorsed using our Which? Trusted Trader Code of Conduct to ensure they treat you fairly. The Code of Conduct covers established standard practice in areas such as contracts, complaint procedures and payment handling. You can also check customer reviews. All the customer reviews of traders on our site are moderated, to ensure they are genuine. You can easily see how other customers rate a particular plumber or heating engineer. It’s also possible to check details of the business, such as how long it has been trading and who owns it, and look for testimonials or examples of their work online. While most of us aren’t plumbing specialists, we can all look out for someone who exudes confidence in any repair or work they’re doing. It’s a good sign if a plumber is a member of a trade association, although some reputable plumbers will choose not to join them. Generally speaking, trade-association membership is a badge of professionalism, as trade associations encourage high standards for technical ability and customer service. The Association of Plumbing & Heating Contractors (APHC) and the Chartered Institute of Plumbing and Heating Engineering (CIPHE) are both well respected in the industry. Technical competence is only half the story – customer service is equally important. It’s no good knowing a technically adept plumber who you can never get hold of. A large part of good customer service is around clear communication. It’s important to find a trader who is reliable and professional in their approach. The days when plumbers would turn up and scribble a price on the back of an envelope are on their way out. Customers should expect a written quote and contract from their trader, in the format they prefer, whether that’s via an app, an email or in a letter. • present the contract in a professional manner, along with the terms and conditions. If you need a plumber for an emergency, call and explain the nature of the problem in as much detail as possible. The plumber should be able to tell you the price for a call-out, but additional costs depend on the nature of the problem and any parts required. You might also be charged for travel and parking. If the job isn’t urgent, it’s worth spending a little longer looking for the right person. Call at least three plumbing companies and aim to get comparable quotes – you need to compare like with like. • can I see references or see examples of similar work? • is the work guaranteed? Is the guarantee insurance-backed? • what insurance does the business have? Does it cover my property? • are there any additional costs, such as travel, parking or waste disposal? Depending on the nature of the job, the plumber might be able to give you a price on the phone, or they may wish to visit your property. Any quote given on the phone will be based on assumptions (that your pipes are in good order, for example), so treat it as a ballpark estimate. Inviting prospective plumbers to visit should give you an idea of whether they’re trustworthy. For example, do they arrive on time and explain your options without too much jargon? Are you clear on what work would be undertaken and how much it would cost? If your job includes extensive work, you may be asked to pay an instalment before the work begins. If this is the case, don’t pay more than 25% of the total cost, and only pay the full balance when you have checked and accepted the work.